If you are looking for information on the Tile Outlet franchise business opportunity, Tile Outlet franchises or Tile Outlet franchising , then you have come to the right place. Tile Outlet Always In Stock® offers an incredible selection of ceramic and porcelain tile with tile starting at as low as 99 cents per square foot. 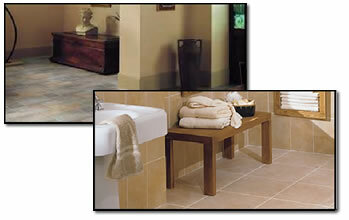 Besides selling tile, our stores carry a selection of slate, travertine, limestone, medallions and marble. 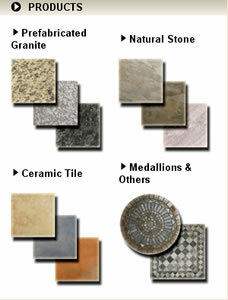 We have the best prices on countertops, tile and natural stone of all competitors, including other tile stores and the big home improvement stores. The Tile Outlet Always In Stock franchise was established by Doug Disney in November 2001 to systemize the process of taking imported products to market at rock-bottom, wholesale prices and we have been actively selling franchises since 2002. 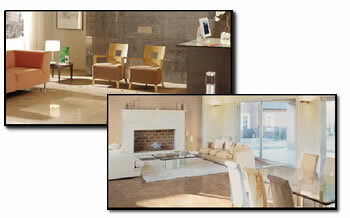 Our successful approach to selling tile and granite countertops has created a strong demand for franchises. Our extensive training allows non-tile entrepreneurs with business minds to run an operation that can be very lucrative. Our low-price concept is driven by the low overhead produced by our concrete floors, lack of elaborate tile displays, small staff sizes and simple approach to conducting business. Operations Manual: Complete instruction for day-to-day operation. 3-Day Training: At our corporate location in Sacramento. 5-Day Training: At your site! Pre-define Product List: Everything you need to stock. Pre-established Vendor Relationships and Pre-negotiated prices. Advertising Materials: Newspaper ads and graphics. Website Listing: Your store listed on our site. Low Overhead/High Profit business model. Your stock will never spoil! Currently, there are over 100 locations purchased and many owners have multiple locations planned. Our limited overhead/high profit margin business plan simplifies the operation for each owner/manager. Our buying power as a franchise is increasing with each new store that joins our team, which provides each store with better pricing and a pricing strategy that makes Tile Outlet Always In Stock extremely competitive.